The purposes for obtaining a seminar transcript are many. People with hearing disability can see the presentation through seminar transcription. People who are better visual learners are also able to go through the information repeatedly and absorb the content. Another useful aspect is that multiple seminars can be compiled to form a booklet or other forms of publication and can be distributed. One of the most popular forms of knowledge sharing is seminars. Utilization of seminars to promote technical expertise among the educational and professional community is increasing day by day. In general, a seminar can last up to several hours and is a very rich source of new information. Though very helpful, the format could at times be quite tough for participants to learn and understand all information. Participants therefore have just two choices -- rely on audio recordings or jot down extensive notes. However, it’s improbable, almost impossible, that every single point of useful information can be recorded and some may be surely lost when taking notes. As far as audio recordings are concerned, it takes a lot more time for information retrieval since it’s very difficult to memorize each and every portion of the tape. How would you feel if all you have to do is sit back and enjoy the seminar and just concentrate on what's being said, without ever bothering about the burden of taking extensive and energy-sapping notes? Wouldn’t you feel even better if just in a matter of hours a written document of the seminar is magically produced before you? This is precisely what transcription services do! Documenting one’s ideas and thoughts is crucial for a speaker, regardless of whether a one-day seminar or a series of seminars are conducted. This is normally done by recording the event and once the recorded aud. There would always be a set of people who would be interested in knowing what you have to say, but would prefer reading your statements and ideas. Conversely, there would surely be groups of people who are interested in your seminars but unable to hear you due to lack of access. However, a full and precise documentation of your seminars would immensely help such groups of people, who will be able to completely read the complete information you are sharing and they would then will be able to understand and appreciate the information you are trying to disseminate to everyone. In turn, you would be able to get your word out to a much larger group, thereby resulting in greater recognition of your hard work and talent. Whenever you are traveling you would certainly want to carry with you copies of your talks. Copies of the audio or even the full seminar video would be good, but then you have to tackle the issue of space in your computer or portable storage. 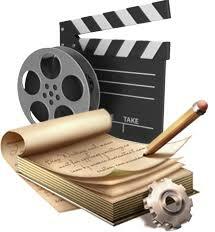 However, textual transcripts take up just a small fraction of the space occupied by audio or video files. This would free up more space for you to store additional files such as your presentations in your computer or device. It’s much quicker and easier if you have the documented versions when you’re reviewing your previous seminars. Scanning the contents of a document only takes a few seconds when compared to listening to an entire audio or watching a video recording. Place names, people names, e-mail addresses, website addresses, etc. can be documented with accurate spellings, and guesswork can be eliminated when transcription process helps you in creating error-free and, most importantly, tension-free transcripts. Providing transcription services to journalists, writers, novelists, and authors is something we truly relish as the subject matter is always very diverse and engrossing. Such transcription opportunities give us a small window to peep into the intelligence of these fascinating people. By transcribing manuscripts of authors, biographies, writers’ memoirs, research interviews, dictations by journalists, etc., we have helped them spend their valuable time on developing the core content while we take care of the tedious and time-consuming transcription. Providing an accurate transcript while still delivering a cost-effective transcription service is of utmost importance to us. Please visit our pricing page for further details. We have a very flexible approach that accommodates your desire to meet urgent deadlines. We have always maintained all materials received & processed for each & every one of our clients with utmost confidentiality & data security, and we continue to do so. Our Testimonials page speaks for itself and is a true barometer of what we are. Our transcription team has the capability to transcribe a wide range of digital recordings including the most popular audio and video formats of AVI, MP4, MP3, WAV, WMA, FLV, MPEG, DSS, and more. Please visit our digital transcription page for more information on all the formats that we handle through our transcription software. While we see that most of our clients have switched to digital recordings, we are aware though that a lot of journalists and writers still use analog recording devices. We understand that using a Dictaphone recorder is pretty convenient and familiar, and we know that there is a market for such devices since they are still being manufactured. As a result, we offer transcription for audio recordings using both mini-tape recorders and microcassette tape recorders as well as standard audio tape transcription. Please contact our customer service representatives for further details.